Called the Chateau LeMoyne, the hotel is owned by Holiday Inn. It's in a great location for going out, and provides a charming sanctuary from the hustle and bustle of Bourbon St. Very nice hotel, great staff, almost perfect! I have stayed here for Mardi Gras and for Southern Decadence and will be back for SD 2010. This hotel is wonderful and so are the employees. I like to party and so when I get back I want to sleep... you will sleep like a baby here, very quiet rooms. The location is good and lots of restaurants close by. Love it. Great pool area too. We keep returning to this hotel. We have made it a pact to always stay at the Chateau LeMoyne. Besides the great rates, the comfortable beds, the wonderful pool and the nice courtyards, the staff here is terrific. They were most cooperative and helpful before Hurricane Gustav hit last year. 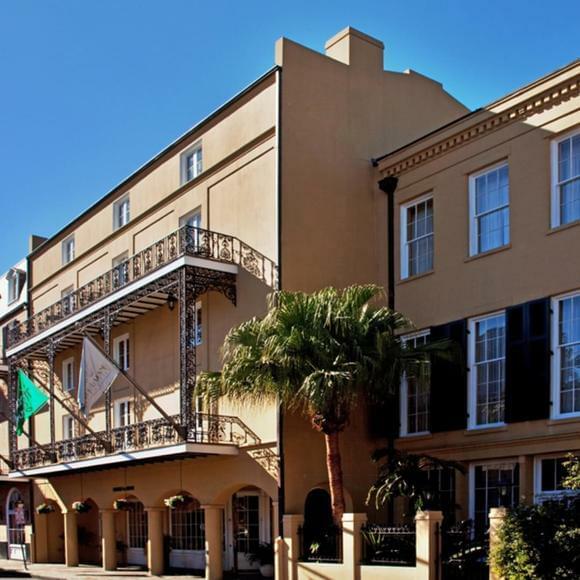 It's located a couple blocks in from Canal Street and one block over from Bourbon Street. Will be staying here again for Decadence 2009.